Nanometer Thinness - Pure Silicon TEM Windows feature imaging windows with 5 to 35nm thickness, reducing background contribution and interference for higher contrast imaging. Most impressively, 5nm thick Non-Porous Pure Silicon TEM Windows are thinner than the thinnest commercially available amorphous carbon membranes. Field to Field Uniformity - Non-Porous Pure Silicon TEM Windows are more consistently thin than carbon grids, reducing field-to-field variability. (Note: Porous windows do have inherent crystalline features, but feature background-free nanometer-scale pores). Reduced Chromatic Blur - In comparison to the thinnest commercially available amorphous carbon membranes, 5 nm Non-Porous Pure Silicon TEM Windows yield half the chromatic blur. 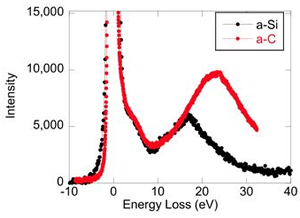 This dramatic difference results from a two-fold reduction in inelastic scattering of electrons passing through the thinner membranes of Silicon TEM Windows. In turn, the reduced chromatic blur offers a potential two-fold improvement in imaging resolution. Nanometer-Scale Pores - Pure Silicon TEM Windows are available as porous films with pores ranging from 5 to 50 nm in diameter. The pores allow simple and stable suspension of nanoscale materials for imaging without intervening background. 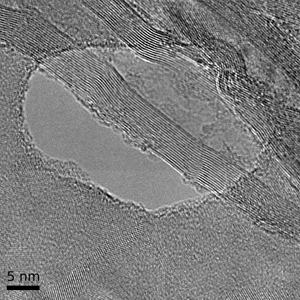 Silicon Composition - The elemental silicon composition of TEM Windows remarkably increases stability at high beam currents and at high annealing temperatures. The Pure Silicon composition also introduces a minimal background signal, making elemental analyses of sample containing nitrogen and/or carbon possible by EDX and EELS. Isolated Poly-Crystallinity - The poly-crystalline nature of porous Pure Silicon TEM Windows offers an internal calibration standard for x-ray diffraction studies. 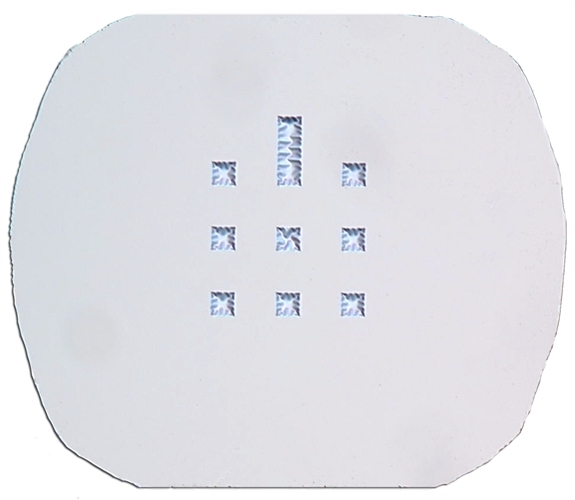 The isolated crystalline features also provides a convenient and reliable scale for high-resolution size measurements, well-characterized crystal lattice of silicon. Hydrophilicity - The hydrophilicity of both non-porous and porous Pure Silicon TEM Windows is tunable by plasma and/or ozone treatment making sample preparation easier, particularly for samples in aqueous solutions. Nanoporous - Using P30 membranes has made the Nanoporous TEM windows significantly more porous. Pore sizes have increased to include a range of pores from 10-60 nanometers in diameter. Single Crystal - with <1-0-0> orientation, offers a very thin 35nm membranes for diffraction studies and other applications requiring uniform background from a single crystal film. Non-porous - Non-Porous films are lightly wrinkled with approximately 5 microns or less deflection across 100 microns of travel. This is typically not problematic for high-resolution imaging.